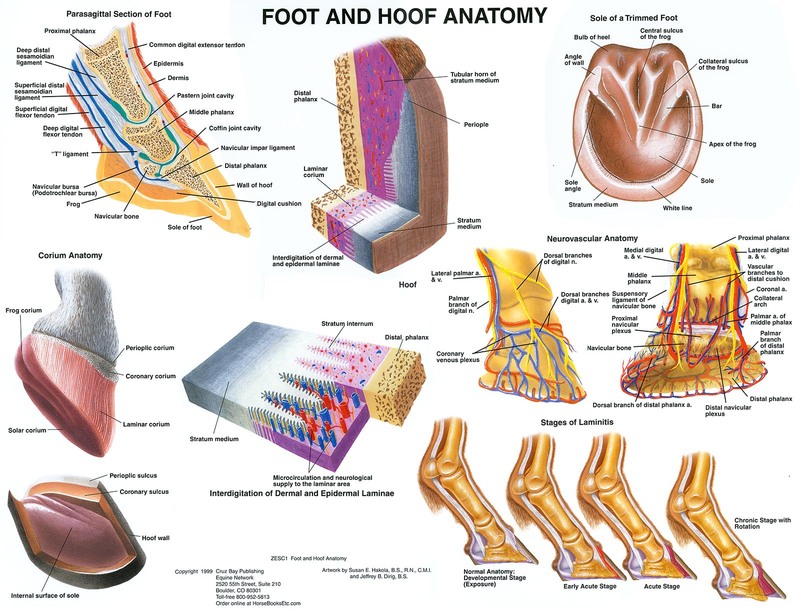 Durable laminated poster depicts the anatomy of the hoof and it's neurovascular anatomy. Other illustrations on this poster include Layers of the Hoof, Stages of Laminitis, Parasagittal Section of the Hoof, and more. These posters are all 20" x 26" size and laminated on both sides in heavy plastic. They make great educational decor for your office or tack room. Posters are excellent visual aids to have on hand for seminars and talks. Order them before you need them!